About a year ago, I woke up feeling like death. I have no clue how that feels, being as though I was completely alive, but I felt drained of all the energy it took to function as a human being. I was lifeless, hot, cold, achy, coughing, sneezing, wiping my runny nose, tired, opposed to eating anything, grouchy, hot, cold, achy...wait, I said that already. To summarize – I was a mess, people! This description is almost as dramatic as my antics during this brief period of suffering. I moaned and groaned when my flu-like symptoms came from out of nowhere and hit me like a ton of Lego bricks. I'm a Mom, so this comparison works better for the visual that I am trying to paint. Did I mention that on top of all of this terribleness, I had to care for my toddler as well? 'Cause I did! Just look at this miserable duo below. We shared all kinds of germs that week and quite frankly, I believe we even bonded over thermometers and Kleenex. It wasn't ideal, but we sure did get some much-needed rest. I tried to stick it out and remedy my illness at home. My medicine cabinet looked pathetic at the time and there wasn't much for me choose from. So, I tried sleep...and more sleep...and even more. I found out the hard way that I needed relief to get me to a place of comfort. Remember, I still had to take care of my little guy. 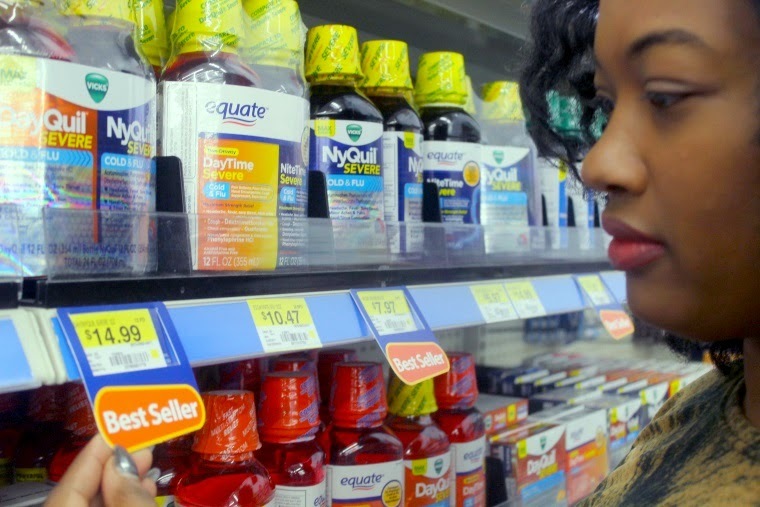 If only I knew what I know now, I probably would have stocked up on Vicks DayQuil and NyQuil Severe from my local Walmart in preparation for cold and flu season. Picture that! Walmart to pick up some relief. 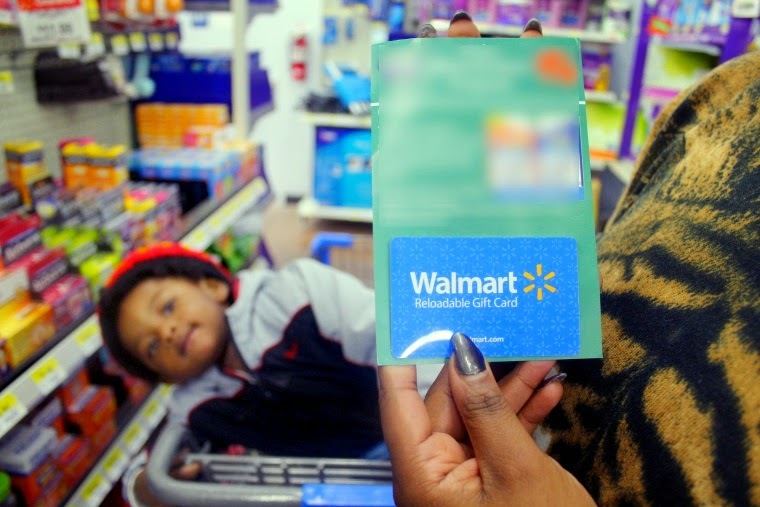 Thanks to SheSpeaks.com and P&G, I was given a Walmart gift card to purchase my items. 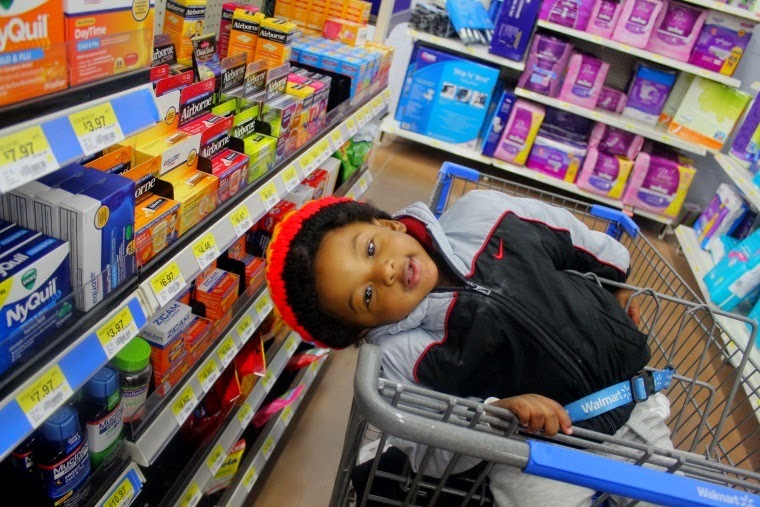 Walmart has everything you need to get through cold and flu season. 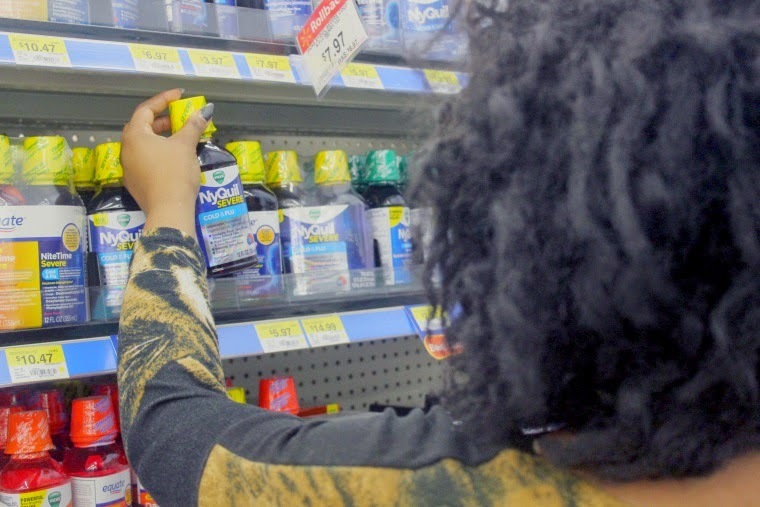 In one stop, you can grab Vicks Severe, Puffs tissues, ingredients for chicken soup, and a warm blanket. Savings: Walmart has the best everyday value for all your health care needs. 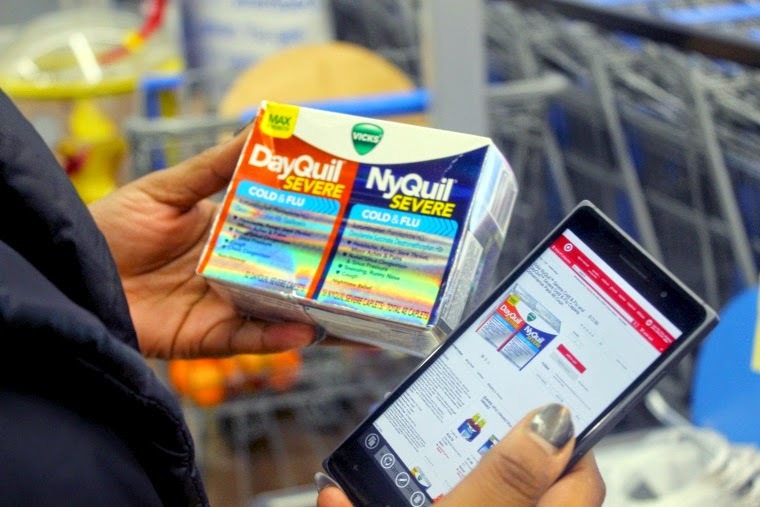 Vicks DayQuil and NyQuil Severe are available at Walmart.com and in stores. 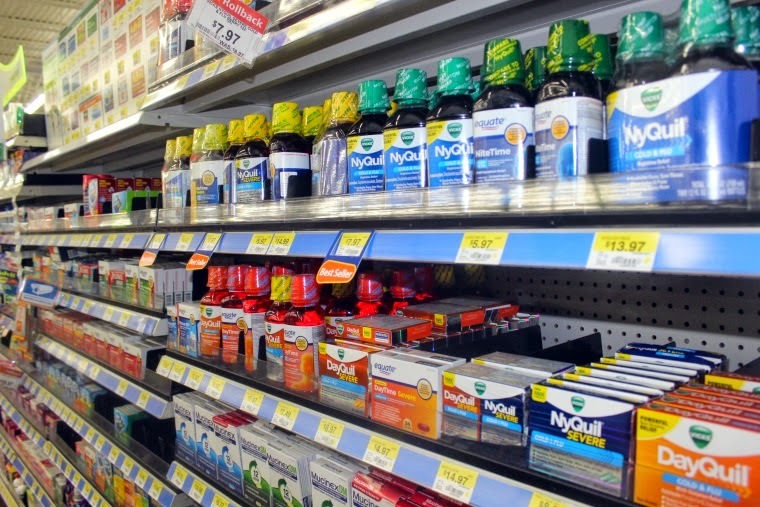 Be sure to stock up to prepare for cough, cold and flu season. Maximum symptom-fighting ingredients to relieve your worst cold and flu symptoms. 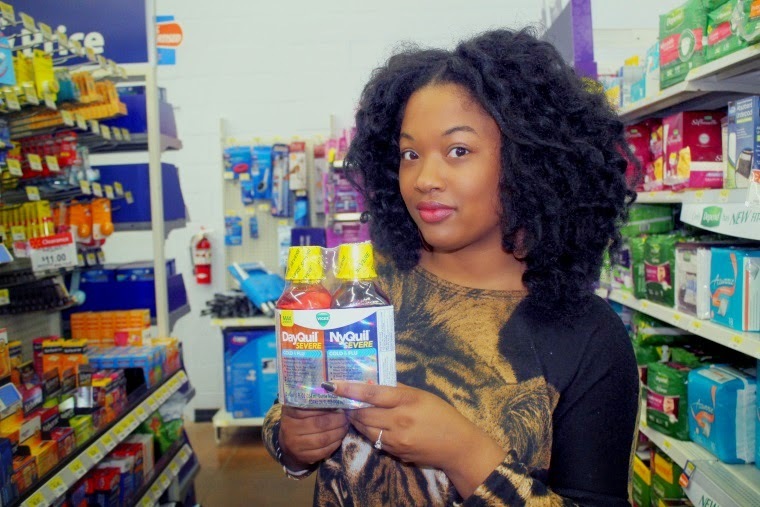 Maximum strength nighttime cold and flu relief, so you can take back your night. 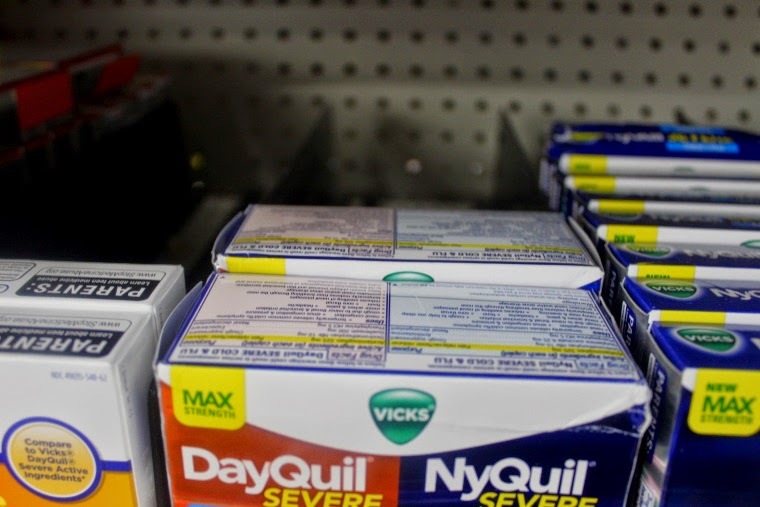 The powerful NyQuil relief you trust now with a decongestant. Available in caplets or liquid. Maximum strength nondrowsy cold and flu relief so you can tackle your to-do list. 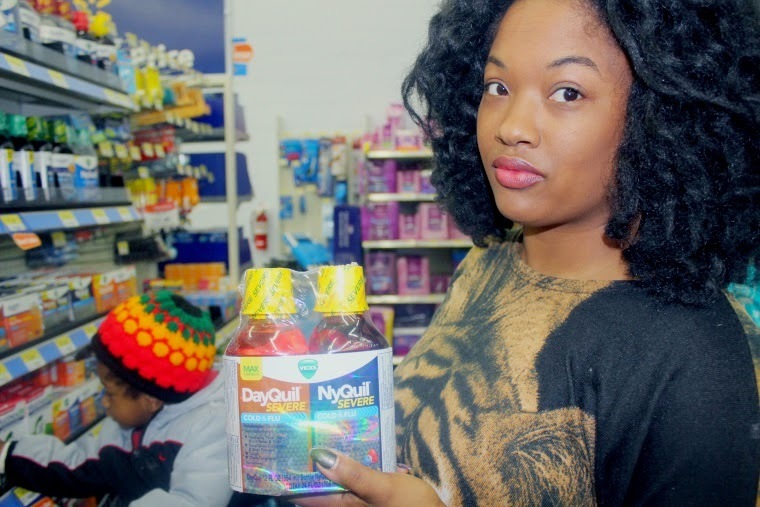 I noticed that there was a tag hanging just under the liquid version of Vicks DayQuil and NyQuil. I opted to get the caplets so that I could easily carry them in my purse at all times without having to measure liquid on a spoon. I am on the go from time to time, so the caplets are more convenient. Besides, I never know when I will have to pop one with all the yucky sickness and drab weather floating around. I am sure glad that this year did not play out like last year. I was able to keep myself above the weather and avoid having to visit a germ-infested hospital, just to be sent away with some over-priced medicine and another doctor's bill. 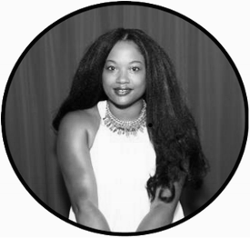 With over-the-counter medicines like Vicks DayQuil and NyQuil, I am able to make it through my day, get some rest at night and be able to take care of my family. Besides, this little guy could care less if Mommy is feeling sick. Superheros don't get a day off, right?! **I forgot to bring my coupon along, but I did PRICE MATCH at the register and saved $1.